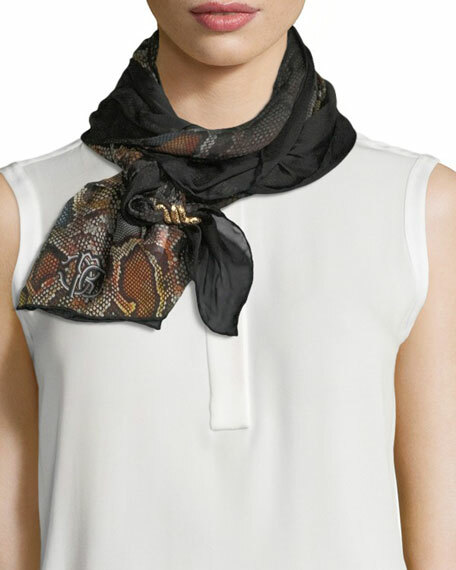 Roberto Cavalli woven python-print silk scarf. Approx. 71"L x 27.5"W (180 x 70cm). For in-store inquiries, use sku #2451150.